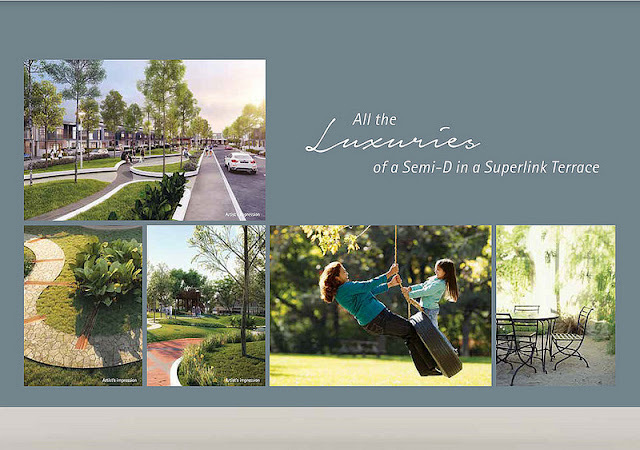 Are you scouting for your dream home or plan to upgrade to a bigger and landed house or for investment purposes? As you know, despite of the sluggish economy, the property price continue to rise especially those landed properties due scarcity of land. If you have the opportunity to own a landed home within the vicinity of Klang Valley, would you consider? If yes then you might want to check out 'The Vantage’ Special Celebration happening this weekend, 28th and 29th May 2016 at Bandar Mahkota Cheras. 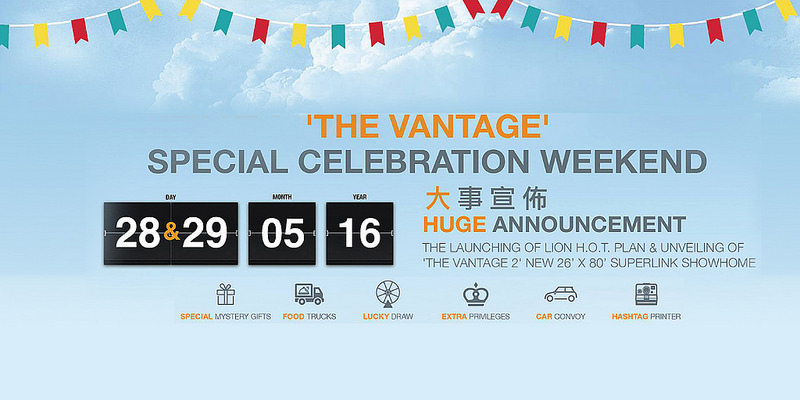 During the 'The Vantage’ Special Celebration, The Lion Group Property Division will be officiating The Lion H.O.T. Plan (Home Ownership Transition) Plan. It’s once-in-a-lifetime opportunity to upgrade to a new dream home in just three simple steps. It is a simple home ownership plan for potential home buyers who are looking to upgrade to a new dream home in just a few steps. The buyer literally pays only 10% in order to move in immediately and to settle the 90% within a year, whilst already living in, at zero cost. Plus the unveiling ‘The Vantage 2’ 26’ x 80’ Superlink Showhome, which is now available for first-time viewing this weekend and open for registration. When we buy or invest in properties location is always the key factor. It will determine the yield. 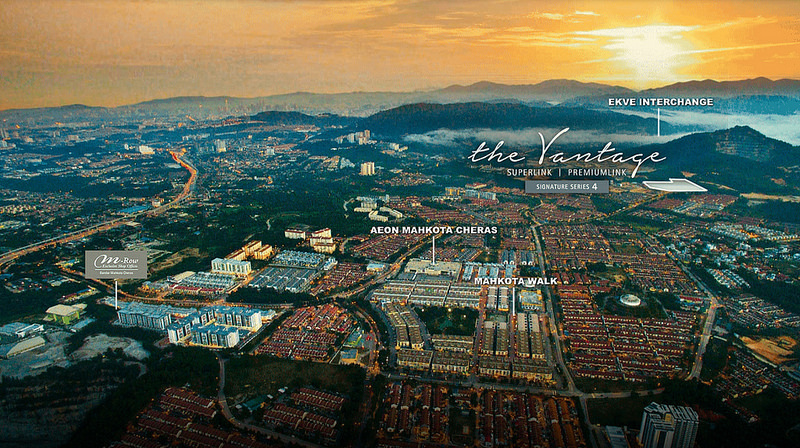 Bandar Mahkota Cheras is one of the prime locations in Klang Valley. It’s an established town with schools, shopping malls, hospitals and other facilities. For those who work in the city center, with family and wish to stay in landed home; this is the location that is convenient for you to commute to work. 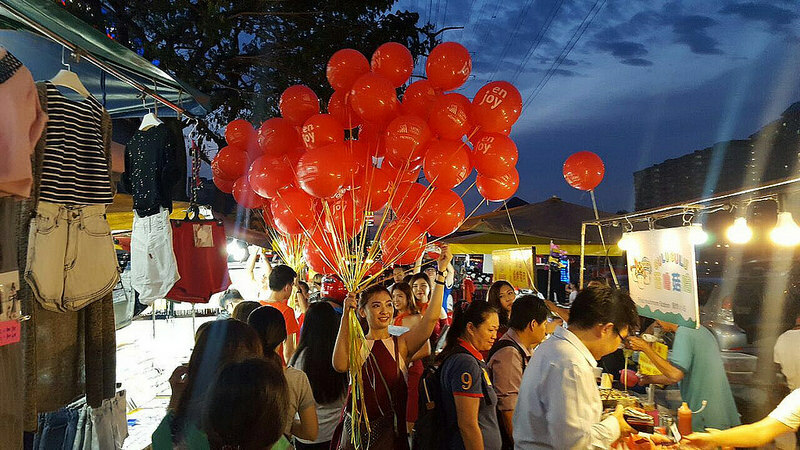 There will be special mystery gifts, food trucks, lucky draws, car convoys and many more fun and exciting activities throughout the 2 days celebrations. 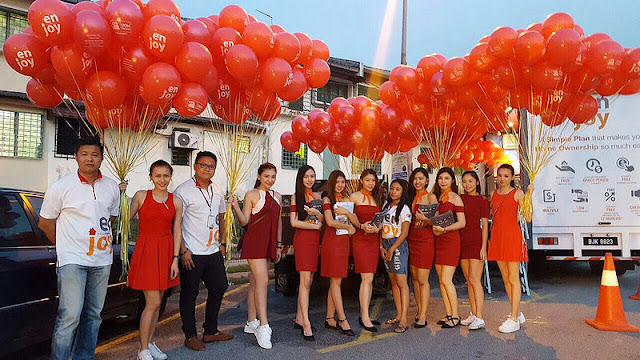 Such as special mystery gifts, food trucks, lucky draw, extra privileges, car convoy and extra rebates. Do drop by Bandar Mahkota Cheras (BMC) and check out what’s happening this weekend. I am sure the whole family will enjoy the fun activities at the same time you get to know more about the Lion H.O.T plan and the new ‘The Vantage 2’ 26’ x 80’ Superlink Showhome. To RSVP, head to https://goo.gl/bB5ySM do come with your family and share this great news to your friends to this event too. contact any of the following people, Jefferey (013-3364839) and Beatrice (017-3973990). See you there.